Donegal Town and The Diamond Lodgings is the perfect base to discover the many attractions of County Donegal. Attractions on our doorstep include Donegal Castle, the Bank Walk, Donegal Bay Waterbus, the Old Abbey, Donegal Craft Village, Lough Eske, the Bluestack Mountains and Donegal Golf Club at Murvagh. 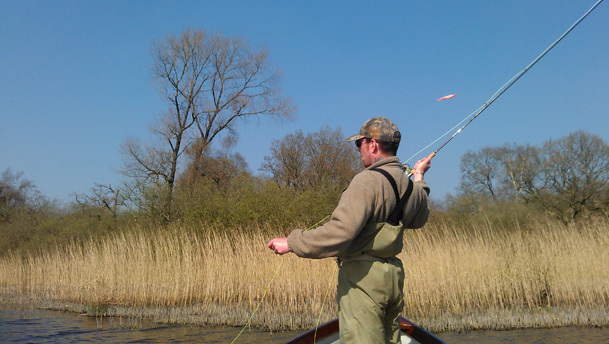 Local activities including horse riding, fishing and hill walking in Donegal's Bluestack Way. 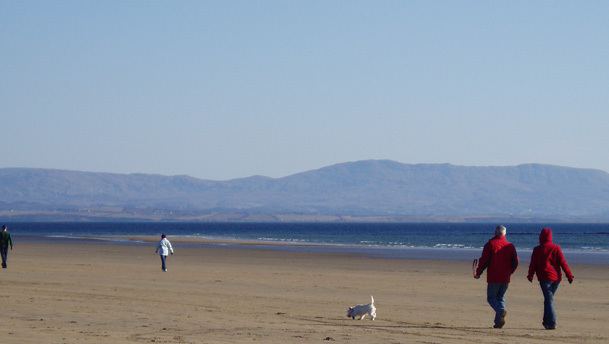 Some of Donegal's finest beaches, Rossnowlagh and Bundoran, known for their spectacular surfing, are just a short drive away. Other attractions within driving distance are the magnificent Slieve League Cliffs, Glenveagh National Park and Belleek Pottery while the world-famous Giant's Causeway is just a two-hour drive away. If there is one thing Donegal people do well its socializing and, due to its location in the very centre of Donegal Town, the Diamond Lodgings is within a five-minute walk of the town's various pubs and restaurants. There is plenty of choice when it comes to bars. Some are trendy, some are traditional, some boast the perfect spot to watch the match while others are lively spots where you can enjoy nightly music, including traditional sessions. One thing that's for sure is that there's a pint of Guinness and a bit of craic to be had in every one. For all you foodies Donegal Town provides a great range of fine restaurants to suit all budgets. As well as traditional Irish fare other meal options include Thai, Indian and Italian eateries, all of which are located in and around the Diamond - just ask Bridie for recommendations. If you wish to go further afield Harvey's Point Country Hotel and Lough Eske Castle Hotel are only a 10-minute drive from Donegal Town on the shores of Lough Eske. The Donegal Bay Waterbus offers up to three daily trips around Donegal Bay taking in the seal colony on Seal Island, The Bluestack Mountains and Donegal Bay's many islands. The Waterbus has a fully stocked bar and provides a cabaret show on the return leg. Horse riding facilities are available at the nearby Deane's Farm while bike hire is also available locally - just ask at reception for details. The 15th century castle located close to the centre of the town was the seat of the O'Donnell's, chieftains of Tirconaill. 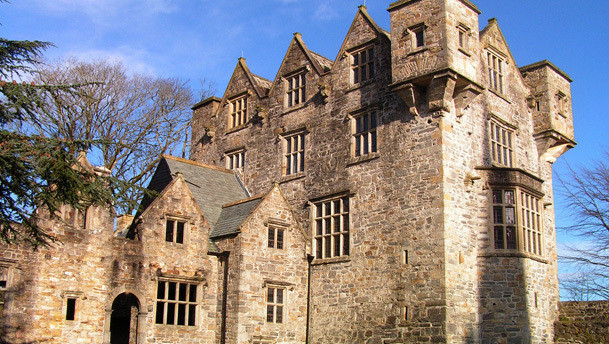 See here for daily guided tours of Donegal Castle. In 1474 the O'Donnells built the Franciscan Abbey, known locally as the Old Abbey overlooking Donegal Bay where The Annals of the Four Masters, one of the seminal texts of Irish history was later written. The monument on the Diamond is dedicated to the authors of this text, the Four Masters, whose original text is now exhibited six miles away in Ballintra in the Ballymagroarty Historical Centre. Nestled in a valley between the sea and the Bluestack Mountains, the area around Donegal Town is a walker's paradise. 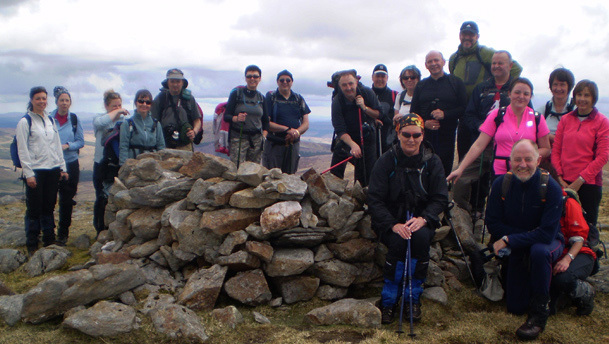 The local Bluestack Ramblers Walking Club boasts some highly experienced hill walking and hiking guides who lead groups of walkers on local trails every Sunday throughout the year and welcome one-day walkers. The Donegal Bluestacks Walking Festivals are held in May and November and Donegal Walking Week is held each May. See Donegal Walkers Welcome or Bluestack Ramblers for more details.